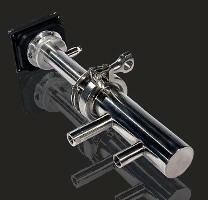 Key areas of Icraft expertise are different instrumentation applications. In many instrumentation applications challenges and requirements are in many respects similar. However, the best outcome is always achieved by designing both the electronics and software according to application specific requirements. Icraft has developed and has been involved in development of different kind of sensor applications, like for example ultra-sensitive fiber optic receivers and micro-particle detectors. Furthermore, we have developed and implemented measurement electronics for medical purposes, for noise measurements, as well as for application's self-diagnostics, protection purposes and telemetry applications. In telemetry applications a wireless data transfer is usually added to the measurement devices. 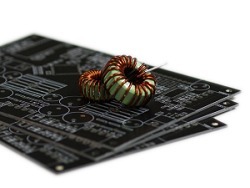 A short range inductive power transfer can be added to devices as well. Data collection and display can be implemented with Icraft's own Iplotter application or we can implement an electrical interface according to customer's requirements. 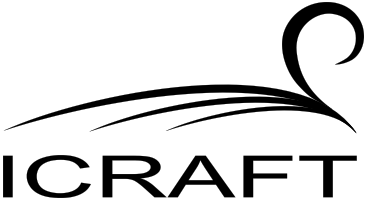 Numerous devices developed by Icraft are designed for challenging conditions. In measurement devices the performance of the device is defined by the design of analog electronics. When the operating temperature range is large or the device is subjected to vibrations, obtaining of sufficient performance is challenging and selection of available components is limited. 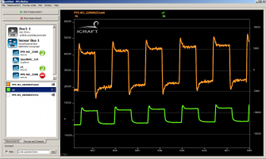 Many telemetry devices designed by Icraft have been targeted for measuring engine operation. In these conditions heat, vibrations, oil and pressure impose significant challenges for the design, component selection and device housing. Sometimes environment can be fire or explosion sensitive. Icraft has implemented intrinsically safe measurement devices for potentially explosive zone 0 EX-atmospheres. 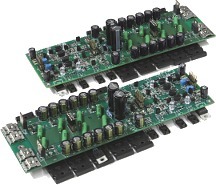 Icraft has extensive experience in design of audio electronics. In audio electronics, challenges are in many respects similar to challenges in measurement devices: low noise, high dynamic range and high linearity. Research and development in audio electronics is focused on power amplifiers, DA-converters and flat panel speakers. One doctoral thesis has been written on audio power amplifiers. Icraft is interested in product development cooperation with audio device manufacturers. IPlotter is a program designed for real-time measurement, data plotting and analysis. The software has wide possibilities for data processing and calculation of various physical quantities from the measured data. IPlotter can be used both for short measurements and for example long term reliability testing with very large amounts of data. As it is easy to create interfaces for new devices, IPlotter is a very useful tool during product development. IPlotter is available for Windows and Linux. Icraft has gathered special knowledge for example on high-voltage sources, laser power sources, isolated power supply and high efficiency switching-mode power converters. We have implemented drivers for example for motors and regulators. Power supply is an essential part of every electronic device. 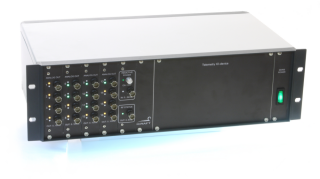 Careless design of switched-mode power supplies may backfire in EMC emission tests.